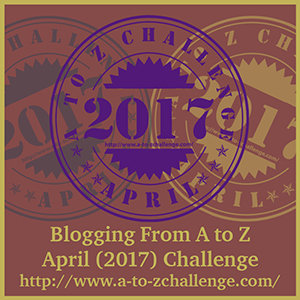 Just a quick heads up that from tomorrow, which is of course April 1st, I will be taking part in the A-Z in April Challenge. The challenge is to post a blog every day of bar Sundays. Since there are 26 days in April (not including Sundays), that matches the 26 letters of the alphabet. So, on April 1st, blog about something that begins with the letter “A”, April 2nd is “B,” April 3rd is “C,” and so on and so forth. My theme for the month is favourite characters, whether they are from books, films, comics or TV shows. So I’ll be posting about a favourite character each day and either their first or last name will begin with the letter for that day. Over half the characters are some awesome ladies and I’ve currently written and scheduled the first ten posts. During April, I should still be posting film and book reviews though they might not be as regular as normal as the challenge will be taking up most of my focus. I hope you enjoy my posts on my favourite characters and maybe you’ll find a new show, book, comic series or film to check out! 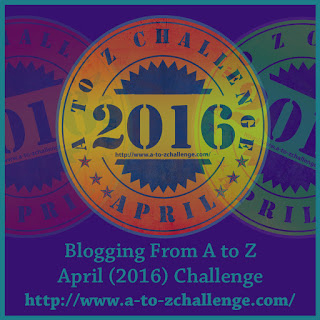 It’s getting close to that time of year again so I have signed up for the A to Z in April Challenge once more! This will be my third time taking part and I hope to be just as successful as I was the previous two years. The challenge is to post a blog every day of bar Sundays. Since there are 26 days in April (not including Sundays), that matches the 26 letters of the alphabet. 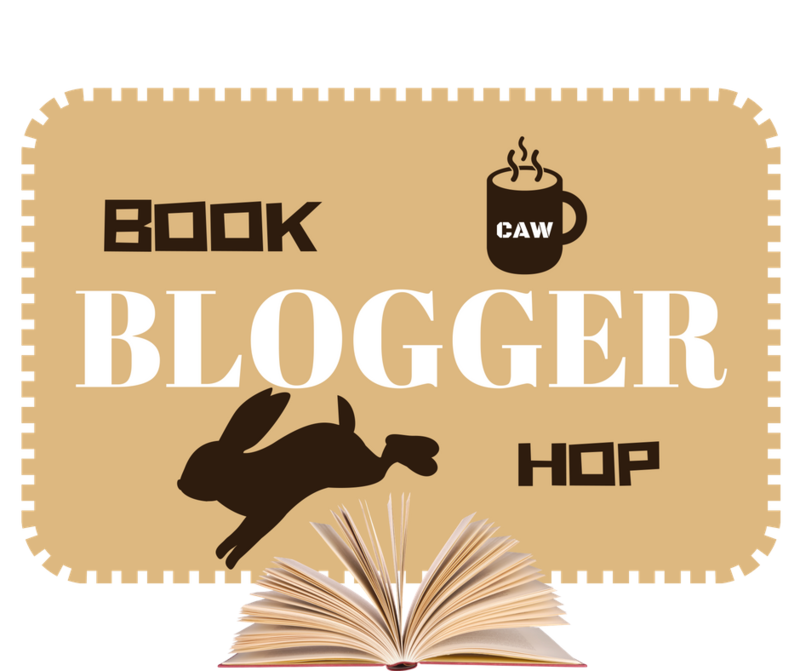 So, on April 1st, blog about something that begins with the letter “A”, April 2nd is “B,” April 3rd is “C,” and so on and so forth. The first time I did the challenge in 2014 I kind of made it up as I went along. I had no theme and sometimes I wrote and posted a blog post on the day. Still it was a good learning experience and I completed the challenge which was the main thing. In 2015 I was a bit more organised and wrote about awesome women in film. It proved to be quite popular and I really enjoyed writing about it, representation and women in film is a subject I’m very passionate about. For this year, I haven’t got a concrete theme yet but I have a feeling it will be about my favourite female characters or just my favourite characters in general no matter their gender. I will definitely have to write and schedule a lot of my posts this year as I should be moving house at the end of March and along with the craziness of that I might not have any internet for a while either. 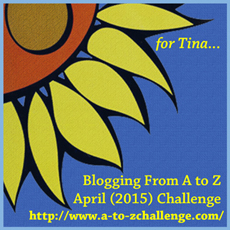 There’s still time to sign up for the A to Z in April Blogging Challenge and don’t forget to check out my previous years posts – My 2014 Masterpost and My 2015 Masterpost. When I did the challenge in 2014 I didn’t really have a theme and kind of made it all up as I went along, which amazingly turned out alright in the end. 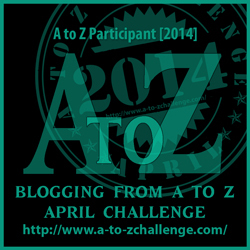 So without further ado, here are all 26 posts (plus the sign up and wrap up post) I wrote for the A to Z in April Blogging Challenge 2014.